Jobs, wages, and the economy as a whole continue to rebound, and home buyers and sellers are responding. Increased mortgage rates, decreased housing supply, and a new president will all shape how the housing industry performs in 2017. 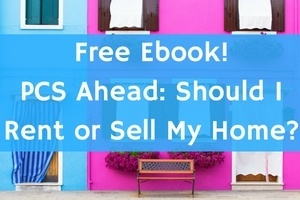 Economists have forecasted several scenarios, including how affordability and inventory will affect the housing industry and what this means to military members who are looking to buy or sell a home this year. See the graphic below for a further breakdown of how these predictions will play out for military families. Two major groups, the Millennials and Baby Boomers, will make their mark on the 2017 housing market, and their influence will continue easily into the next 10 years because of the milestones they're reaching in their lives at the same time. Millennials will need starter homes, then larger homes for growing families, while Boomers will look for housing after retirement and into empty nest years. The youngest buyers will continue to be challenged by steep housing prices and rate hikes, allowing a move to the Midwest to become more affordable, particularly near college towns, such as Madison, Wisconsin. Although incomes are predicted to increase, affordable dwellings in cities and urban areas with access to transportation will not likely be attainable, further pushing Millennials to the Midwest, and putting more drivers on the road. Nela Richardson, Chief Economist at Redfin, describes the phenomenon like this, “The irony of the modern housing market is that the places where we are seeing wage growth are places where people can't live because they are too un-affordable. There is a mismatch." RELATED LINK: TIME FOR GENERATION X TO DOWNSIZE FOR RETIREMENT? Housing appreciation has continued since 2008, and will continue to grow slowly while returning to normalized pricing. In Realtor.com’s housing 2017 forecast, Jonathan Smoke, Chief Economist, describes the market heading for “a moderation, as opposed to a slowdown. The pace of growth is still strong and, for pricing, still represents an above-average level of appreciation.” Specifically, economists at CoreLogic, a leading real estate data research company, suggests about a 5% increase in home prices. This pricing is of course helpful for sellers, but buyers will have to heavily consider the increasing mortgage rates in addition to the home price. This is particularly true for of the majority of first-time homebuyers who will need financing for their purchase. Mortgage rates are expected to vary sporadically throughout 2017, with most experts predicting the rates to remain between an estimated 3.75 - 4.6%. Coupled with a tight inventory for starter and mid-priced homes throughout 2017, first-timers may be priced out of the market. For nearly a decade, mortgage rates have been running at historical lows, and home shoppers were eager to purchase. CoreLogic reports 66% of homeowners in the United States locked in mortgage rates of less than 4.5%. Although it may be the right time for these buyers to make a move into a larger home or different market, they are thinking twice, due to the trend known as “rate lock.” Buyers are noticing the upward creep of mortgage rates and are less likely to buy, further restricting inventory. Throughout the past five years, almost every month, new home listings at the lowest price points have declined. Homeowners aren’t selling, and builders continue to hold off building in this price range. Rather than starter homes, their focus has been on high-end real estate. One deviation however, is the increase in new build townhouses. Builders avoid high land costs and can cater to entry level buyers. Small improvements in inventory may be accomplished in 2017 as Donald Trump’s policies are announced. The housing industry expects the new administration to be friendly to the real estate business. Uncertainty reigns before President-Elect Donald Trump’s real estate strategies are revealed in 2017. Trump has been vocal about his concerns with immigration. The effects of an already limited supply of labor in the housing industry compounded with tightened immigration measures could impact buyers negatively. Home builders who pay more for labor will pass their increases to buyers hoping to build a new home, regardless of whether they're starter sized or larger properties. Conversely, there is speculation Trump will move to make good on his promise of lower taxes and robust economic growth. Trump’s team has also announced their plans to remove a majority of the Dodd-Frank Act, which was put into action to mitigate further financial crisis after the Great Recession. The Act’s removal could allow banks to lend more freely in the future. There is also talk of the new administration attempting to remove government-run Fannie and Freddie Mac and delivering them to private industry. As stated before, mortgage rates will likely continue to climb, so potential homebuyers should seriously be considering buying sooner than later. However, younger military and retirees who desire smaller, more affordable homes will be in tough competition with each other. There will be greater opportunities for home buying if untraditional options become acceptable to military families, such as delving into major renovations. Current homeowners will be glad to see their homes likely appreciate slowly, but on a steady path. Freddie Mac’s Multi-Indicator Market Index (MiMi) shows the majority of the top 100 housing markets have improved and will continue to do so. According to the MiMi, several military heavy states show the most improvement: Nevada, Florida, and Arizona. The most improved cities related to military concerns are Orlando, Dallas, and Tampa. Home sellers will be well positioned in 2017 as demand and appreciation will likely continue to increase. Because sellers are at an advantage this year, Yun suggests choosing the larger offer versus a faster closing. RELATED LINK: FOR SALE BY OWNER - IS IT AN OPTION FOR YOU? By and large, homebuyers and sellers are continuing to gravitate to online research, sales, and, purchases. Similarly, tablet and other mobile device use is on the increase. However, the majority of buyers are still using the services of real estate agents to make the deal final. Agents note the limited supply of homes and tight negotiations are two of the major reasons buyers are seeking their assistance in today’s market. Much remains to be seen in the housing industry throughout 2017, but most experts agree mortgage and appreciation rates will continue to climb gradually. Prepare yourself for a home purchase or sale at MilitaryByOwner. There you’ll find home listings, legal documents for transactions, and in-depth information on the best ways to prepare to buy or sell a house.